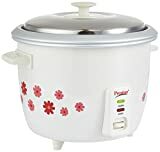 Cook porridge, soup, stew, pulao, idlis, steam vegetables in a convenient and hassle free way . With features like speed cooking, keep warm etc. 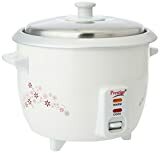 Electric rice cookers come with a variety of features with different brands and models. 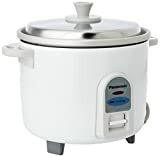 However, the basic specifications include various sizes, capacity, timer (that’s a ‘must have’ feature), pot material (non-stick, aluminum or steel), power consumption, etc. 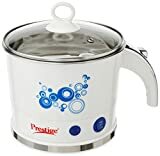 Panasonic, Bajaj, Prestige are some of the brands offering the best rice cookers in India.